Thank you for visiting our video gallery. We have several videos to show you, taken at various venues mainly using a small camera. If you’d like to leave a comment about any specific video, please use the contact form on the Contact Us page for this purpose. This video was filmed at the Bourne End Community Centre. The band is in full complement as a six-piece, with Mark Winter on drums and Bob Dore on keyboards. The audience was a full house and the band performed a mix of Shadows, Cliff and Rock ‘n Roll. The title of our CD and one of our favourite Shadows numbers, this performance was part of a tribute to Jet Harris. 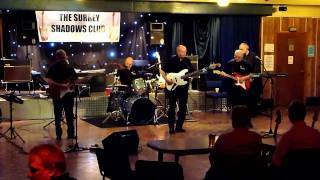 The tribute performance took place at The Surrey Shadows club in Hersham, UK. One of The Shadows popular numbers, this performance was part of a tribute to Jet Harris. 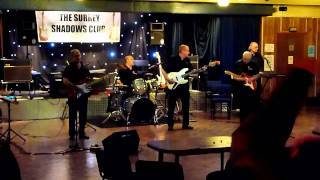 The tribute performance took place at The Surrey Shadows club in Hersham, UK. 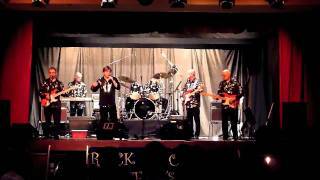 One of Cliff’s lovely numbers, this performance was part of a Children In Need concert. The band was asked to perform a variety of numbers in aid of this fine charity. 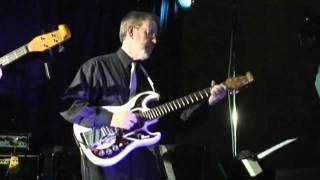 Stephen Swann was playing Lead Guitar for us on this occasion along with Brian Haycock and we had a wonderful evening with a very appreciative audience. The man occupying the Lead Vocal slot was our good friend Ian Geast.